Smaller is a great prewalker and early walker shoe, perfect for those first steps. Jasper loved his Smaller Sasha boots. They feature a strong velcro closure and a faux fur lining to keep little toes cozy. We're passing them on to SoJo at Katydid and Kid for the rest of the cold weather season since Jasper is apparently part Bigfoot. Roo sadly outgrew her last pair of See Kai Run shoes a couple of months ago, but she has moved into Eleven seamlessly. Here she is rocking the Eleven Nora boots. To get your kid started off right in the new year, See Kai Run and Eleven have generously offered some new shoes for my readers. 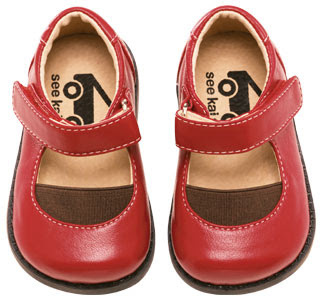 See Kai Run are offering the red Yuna mary janes (size 6 only) or the pink Julie boots (size 5 only). One winner will also be chosen to win their choice of Smaller shoes (subject to availability) and yet another winner will receive their choice of Eleven shoes from the Fall Collection. That's four pairs of shoes you could potentially win! To enter and win, please comment on this post with which shoe you are entering for and tell me your favorite style from See Kai Run, Smaller or Eleven. Entries will be accepted through December 30th and I'll pick the winner using Random.org. US readers are eligible. Only one entry/comment per person per pair of shoes, please. You may enter to win each pair of shoes but you must leave a separate comment for each entry. For an additional entry, post my button on your blog, fave me on Technorati or subscribe via email or subscribe via reader and leave an extra comment letting me know. I would love the Peter (Smaller) in size 12-18 mts. I'd love to enter for the choice of Eleven shoes. I've heard great things about them. It's really hard to pick a favorite shoe but I think I like Eleven Trainer or Eleanor the best. Those are the shoe I wished for in my childhood. I am entering for the choice of Eleven shoes from the Fall Collection. My favorite style from See Kai Run is "Clara". From See Kai Run, I love the Peggy, they are so cute. I would love to win the Julie Boots. I would love to win the Red Mary janes. I would love to win my choice of shoes from the SMALLER collection. And finally, I would love to win a pair of my choosing from the Eleven collection. I'd like to enter for the smaller shoe in the Jake style. :) My favourite shoe is the Kai boy's shoe but they're all nice. I'm entering for the pink Julie boots! The brown Julies are my fave see kai run style. I am entering for the red Yuna Mary Janes. Soooo cute! I also love the Melody style from the See Kai Run website. Sweet little shoes! I want to enter for the julie boots and also like the bunny smaller boots. i would like to win the see kai run shoes in the peter style if avaliable! I'll bet that Roo loves those boots! 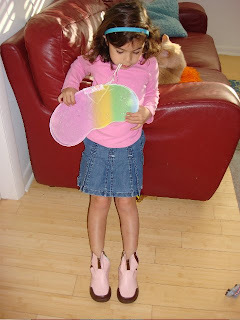 There's something about loving to clomp around in pink boots and a skirt that would send me back to girlhood. And we can't wait to try out Jasper's boots! They look so cool on him. I can't believe they'll be our first pair of See Kai Run shoes. I'd love to get the Peter Smaller shoes or the Addison Smallers. But that's assuming I'll win. I'm entering for the red maryjanes. I like the Lola shoes from See Kai Run line too. My favorite shoes from See Kai Run will always be the Pauls. My favorite shoe from See Kai Run will always be Paul. Nora Boot-From Eleven is adorable. I'd like a pair of Ali in size 6-9 months from Smaller. I'd love to win the red Yuna shoes. They are so cute and just the right size! My favorite pair of the 11 shoes are the Pixie shoes, and my favorite See Kai run shoes are either the Melody or Hannah shoes. But all of these are sooooo adorable! I love See Kai Run! I'm a subscriber via Google Reader. Thank you!!! I'd love the Peter by Smaller for my new son!! So cute! Thanks!! I would love to win the Jane boots. My favorite See Kai Run are the Melodys! Thanks. I love the Yuna's. See Kai Run has the cutest shoes. I also love the June pair! Thanks. I would choose the Tine from smaller. My faves are Melody from See Kai Run. I really love them all! Thanks. I would choose Josef in size 11 from the Eleven collection. I love the Tine from the smaller collection! Thanks. I love the Tamar smaller shoes! Thanks!! I'm entering for the choice of Eleven shoes, and I'd love the Noras in a size 9. Thanks for the chance! The Red Mary Janes would be a perfect fit for my little girl, though Eleven has some darling shoes like the Pixies! The pink julie boots are adorable. My daughter would love Sofia in the Eleven collection. I'm entering for the red Mary Janes, they are just so adorable and would fit my little girl perfectly in the spring. My favorite one from the Eleven collection is the Ocean shoe. Thanks for the fantastic giveaway! My favorite is the See Kai Run Oliver shoes. Thanks so much for this giveaway. I'd love to see my youngest in the red Yuna mary janes! Soo cute. My favorite shoes are the Steph boots. I am entering to win the Julie boots for my niece. Thanks! My favorite shoes are Elaine from See kai run, but If I won, I'd like the James shoes from the Eleven line! I like the bunny shoes from the smaller line! I'm going for the Julie boots if I win! I like the Tamar style from the smaller line! I would pick the Julie boots if I won! I love the Rhonda shoes and I would like my choice of Eleven shoes if I'm the lucky pick!!!! I'd love to win an Eleven in Kai. We love this brand! The Julie in size 5 would be perfect for my little girl. I think the Melody See Kai Run shoes are too cute for words! I've faved ya on Technorati. I'm SeeryusMama. I've subscribed via google reader. I would love to win the Julie boots for my youngest and I love the Nora boots for my eldest. i like the noras! cute thanks! My favorite is the Monica (smaller) they are very adorable. Cute giveaway! Top of my wishlist is a pair of the Eleven Shoes; specifically the Josie's in a size 3. I'd also love to win the Red Yuna Mary James. Just the right size for one of my daughters! And for my son, the Peter shoes in a size 12-18 mos. would love to win Eleven shoes - Josef - in size 9. just love them! I would love to be entered to win a choice of shoe from the Smaller collection, I love the Jake and Paul shoes! I am entering for the red Yunas. My favorite See Kai Run style is the Melody. My favorite is the Paul. 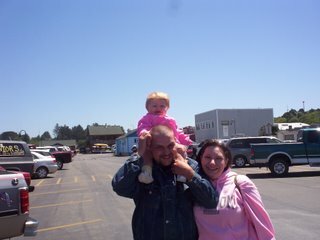 I am entering for a pair of Eleven shoes and I would love to win the Josie in a size 1 for my daughter. This is an entry for a pair of Smaller shoes. I would love to win the Lewis in a size 12-18 months for my son. I would love to win the Yuna shoes. I think the Elaines are cute too. I have faved you on Technorati. The Eleven shoes are great, I would love to win a pair! The Josef shoes and Nora boots are my favorites. I would love to enter for the red mary janes... and I love every single shoe at See Kai Run! Today my favorite is the Ashley Maija shoes. In the Smaller line, I love the Mazi. I'd love to win a pair of Eleven shoes. The Rios are my favorite. I'd love to win the Small shoes since my son is almost grown out of his others and starting to try and walk!! I love the Jake ones!! i like the eleven shoes Oslo. they would look so cool on my boy! thanks!! I love the Jakes in the smaller line! I am entering for my choice of Eleven shoes, and my fave on the site has to be the Oslo in the Eleven section. I am also entering for my choice of teh smaller shoes, my fave in that line being the Tamar or teh Tine. they're adorable. I am entering for the red Mary Janes, and also love the Josef shoes in the eleven line. I am entering for the pink Julie boots in size 5, and also love the Geneva in see Kai Run. I am also RSs subscribed, thank you for all these chances to win. Im entering for a pair of Eleven shoes! 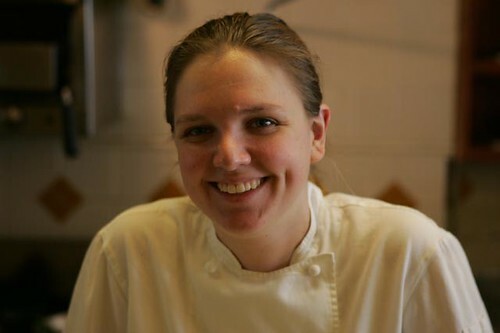 My faves are the Josie's! I love the Marley from the See Kai Run line. I think the Gavin from the Smaller line would be so fun to give to my new nephew to be. My older daughter would look so stinkin' cute in the Alexi from the Eleven line. My daughter would love to run around in the Oslo from the Eleven line. I'm entering for the Eleven shoes, and my favorite are the Mazi. Thanks for the giveaway! I'm entering to win the smaller shoes, and my favorites are the Mazi. I faved you on technorati. i'd love to win pair of SMALLER shoes -- the SASHA is my favorite... they're awesome. i'd also like to enter to win the yuna shoes. the elaine is my fave bigger kid shoe. I would love to win a pair of the Smaller shoes. I like the Lisa best! I would love to win the Eleven Josie shoe for my daughter. I am entering for my choice of Eleven. My favorites are the adorable Anya shoes! I'm entering for the Eleven shoes. My favorite pair is the Josie. 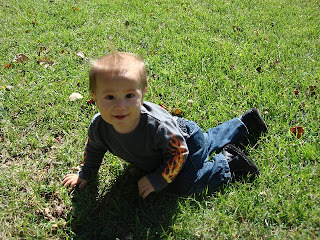 I'm entering for the Eleven shoes-- my son would totally dig those Ocean blue suede shoes! I am entering for the See Kai Run shoes. I love the Melody's. Too cute!! I am entering for the Jake from the Smaller line, which happens to be my favorite style. My favorites are the Paul shoes-adorable! If I win, I'd love a pair from the Eleven Collection. I am entering to win the choice of Smaller shoes. My favorite style is the Rhonda. I would love to win one of the Eleven Shoes for my son. My favorite style is the Ocean shoes. Thanks for the contest! Cute "Jake" of smaller collection is my favorite. Thanks for this great giveaway! I love "Sasha" of smaller collection. Thanks for this great giveaway! Great "Dublin" of eleven collection is my favorite. Thanks for this great giveaway! Lucky "Luc" of eleven collection is sure to get me lucky if I win. Thanks for this great giveaway! I would love to win the smaller shoes. I like the Ali. i'd love to win the yuna shoes! i love see kai run! they are so great for chubby feet! I love the melody from see kai run. I am entering for the eleven shoes. I love the Sasha shoes from the Smaller line in size 0-6mo. i'm entering for the eleven shoes.I love the luke ones. 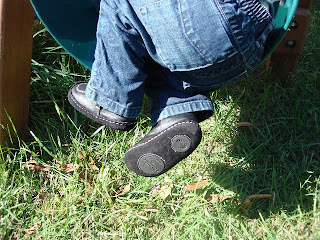 I'd love to win the SKR Steph boots for my toddler. My favorite are the Josie and that is what I would enter for. I'm entering for the Yuna mary jane's and I love the Eliza and the Indria, thanks for the chance! Would love the Monica from the smaller collection! please enter me for the See Kai Run pink Julie boots in size 5. We really like the Addison shoes from the Smaller line. We would need a size 9-12 months. Thanks for the giveaway. We would love to win a pair of the Iggy shoes from Eleven size 9. Thanks for the giveaway. I love the red Yuna mary janes. I wanted those for my daughter, she has nothing in red for 2009. The Bridgette (Eleven) in size 9 looks totally cute for my 7 year old! I'd love the Mazi from the Smaller line! They are adorable! I'd love to win the pair of Eleven shoes... The Josies are adorable!! Also love the See Kai Run Radiks. I'd love to win the Julie boots for my granddaughter! I also like the Clara shoes. I'm trying for the Smaller shoes and I'd pick the Rhondaa for my new granddaughter! Oh how I love the Eleven collection! I would pick the Josie shoes if I won for my daughter. The Monica shoes are awfully cute too. I signed up as a subscriber through bloglines. I would love the Eleanor shoes from the ELEVEN collection. Thanks for the chance to enter! I subscribed in Google Reader! I would love to get the Radik shoes in size 7 for my little guy. He has big feet. Thanks for the chance!!! I think the Smaller Nancy (12-18mo) shoes are way too cute. Of course I think they would be even cuter on my girl! I'd want the Julie boots and my other favorites are the "Josef" style. Love their shoes!! I'm playing for the Red Yuna Mary Janes, size 6. My favorite are the Melody shoes with the bird, size 7. I also love the Kenso shoes. Its hard not to love them all...they're so cute. And let me not forget...well made. 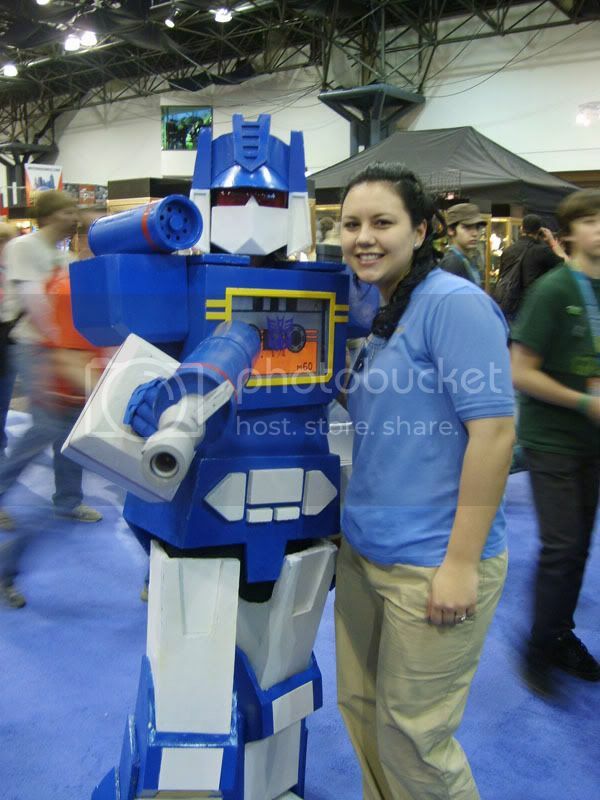 I added your button to my blog. I had to write about Eleven. So cute! I need more cute larger shoe sites. Thanks for the adorable shoes! I particularly love the 11 trainers for my son. 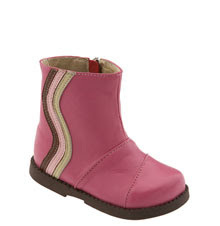 Not sure how much longer Zoey would fit in them but count me in for the Pink Julie Boots, size 5. Love the red mary janes!! They'd be perfect for my niece! 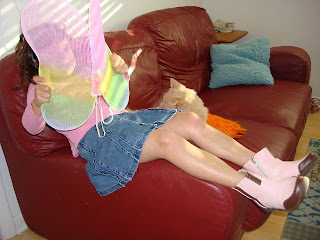 And love the pink boots for my daughter! amazingly cute! I am entering for the red Yuna mary janes. I like the Elaine at see kai run. My favorite are the pink julie boots. Size 5 would fit my littlest in just a few more months too! THanks! I'm a subscriber! I'd love to win any of the options and I adore SKR shoes. 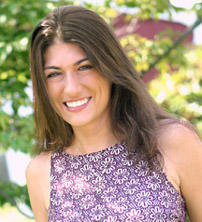 Especially the Alexi! I like the Josef's by Eleven. I like the Smaller Peter shoes. I would love any of the shoes, but especially the eleven collection. I am entering for the choice of Smaller shoes. I LOVE the Gavin! I'm subscribed to your RSS feed. I would love those red Yunas. And I am totally loving the Oliver shoe in size 3. Yum! The Paul shoes are adorable!! Thank you!! I'd love to enter for the choice of Smaller shoes or the choice of Eleven shoes. My son would be rockin' the smaller- peter if I won those and my daughter would be too cool in the eleven- bridget if I were picked for those! The YUNA really are my favorite and I would like to enter for them -- and believe it or not my daughter will be in size 6 in just a few months here! Entering for YUNA, and I subscribed! My favorite are the Yuna, but I'd also like to enter for the Julie boots in size 5. My daughter is just about a size 5 now and they would be perfect for this winter! I'd also like to enter for the Bunny Boots on the smaller line for 12-18 months! And from the eleven line I like the sophia style in size 9.